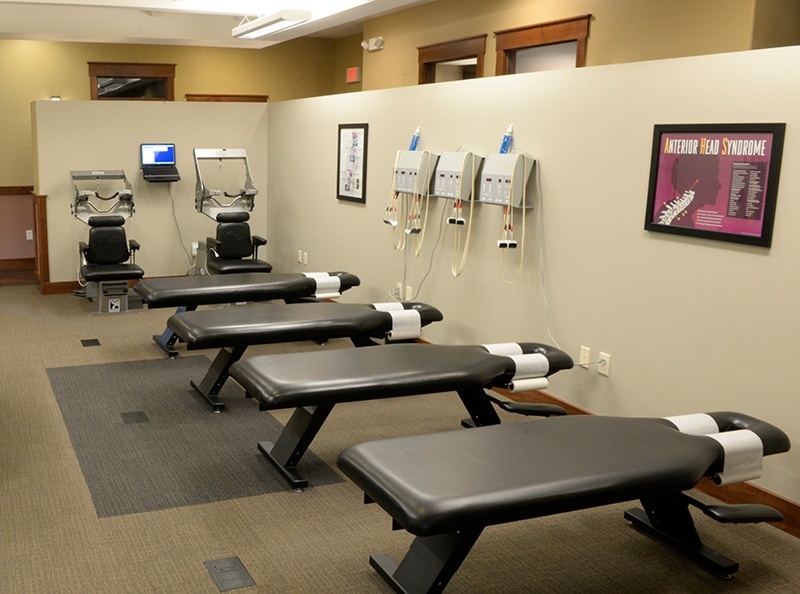 Chiropractic office with ErgoBenches and iTrac Spine Remodeling Systems. A Pivotal Practice is one that encompasses a variety of PHS products to be used for different areas of Chiropractic as well as massage and physical therapy. Having a diverse list of treatment options opens your practice up to more opportunities and gives you the ability to successfully treat a wider selection of patients. The crossover of products used in different healthcare markets is consistent with current healthcare trends (ex. a chiropractic table used on the sidelines of a football game) and we have jumped on board. Our products are developed to keep up with the evolving healthcare markets and provide practitioners with what they need to stay current and experience success in a variety of settings. Our products are designed to help your practice succeed from every aspect of patient comfort, ease of use, durability, practitioner convenience, versatility and successful patient outcomes. Start your Pivotal Practice today!